Eurodollar has broken its previous target area and right now is moving downwards quite fast. 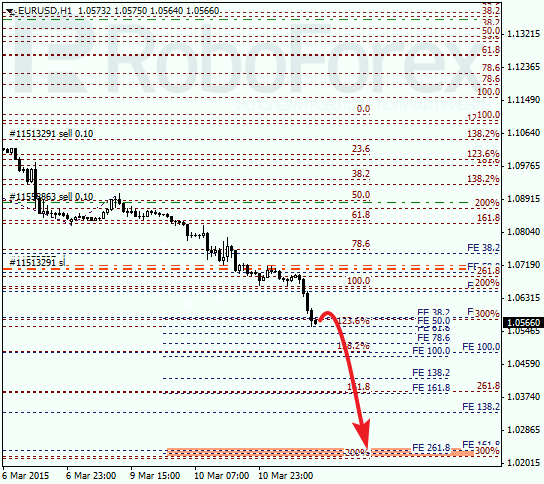 Probably, in the future the price may continue falling towards the next group of fibo-levels at 1.0220. However, there is still a possibility of a short-term correction. 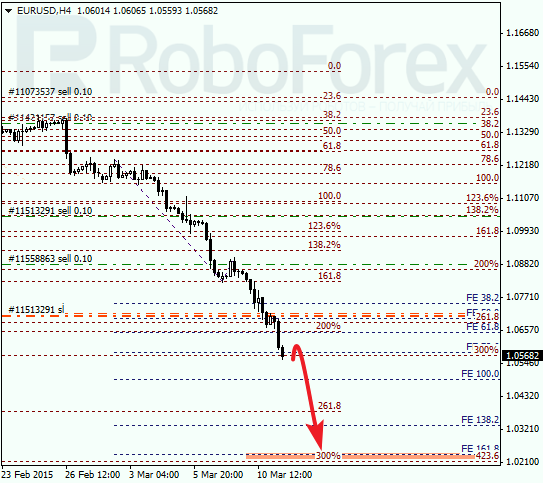 As we can see at the H1 chart, the updated target area is confirmed by local retracements. If the market starts a correction in the nearest future, I’m planning to open another sell order. The pair has reached the group of lower fibo-levels and right now is trying to rebounds from them. It looks like in the nearest future the price may start a correction (at least), although there is a possibility that the market may reverse. 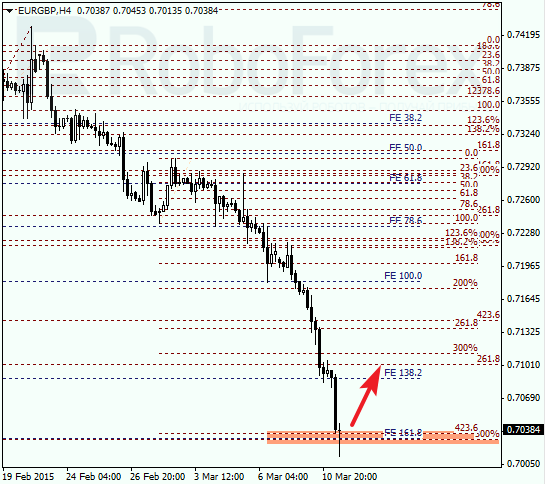 As we can see at the H1 chart, the minimum target of the current correction is at retracements 23.6%. 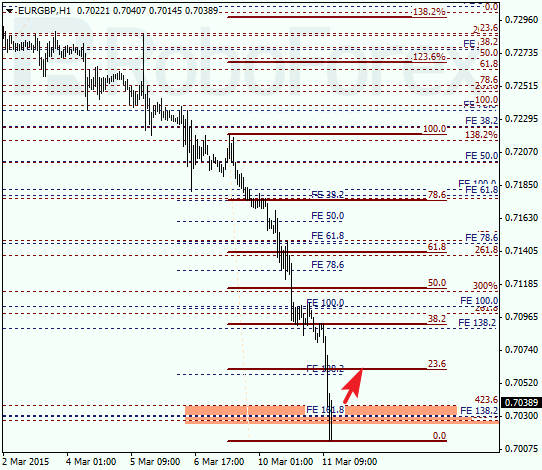 If the pair breaks it, the market may continue growing towards retracement 38.2%. If the pair rebounds from these levels, the instrument may resume falling.